Sandra Silva Fichter is the owner of Fichter Silva Consulting, "A Human Resources Services Company" offering a full spectrum of HR services since 2007. Prior to 2007, Sandra spent 15 years in a variety of industries providing Human Resources expertise in such areas as talent acquisition, wage and hour law, employment development and strategic planning. Sandra has a Masters of Human Resources and Organizational Development from the University of San Francisco, and a Senior Professional Human Resources (SPHR) Certification. Her management experience includes managing departments from 2 to over 800 employees; she is bilingual in English/Spanish. Sandra served in the U.S. Army, both in the enlisted and officer ranks. She is one of the founders of JBS Transition Experts, and creator of the Career Transition Assistance concept from her personal experience as an Army veteran and from her interaction with job applicant veterans in her role as a Human Resources practitioner. Since 2009, Ms. Whitaker has provided workshops in job search techniques. In 2011, she transferred those skills to work with to military and veterans transitioning into the civilian workplace. Janis is one of the founders of JBS Transition Experts. 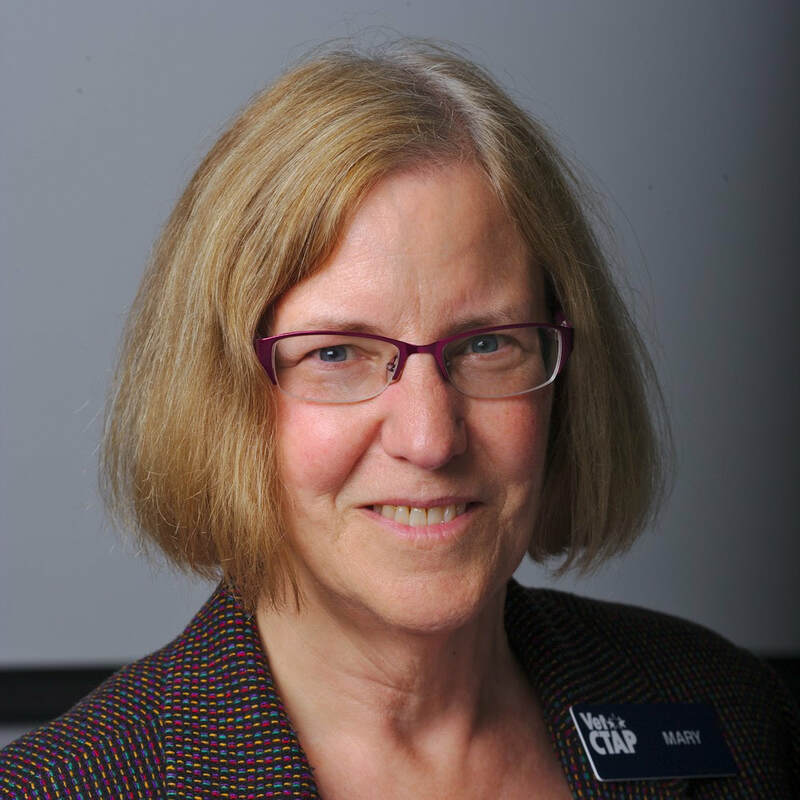 Janis has authored the popular book, Interviewing by Example and has been a long time speaker, management trainer, and University adjunct faculty member. She has been quoted in numerous newspapers, magazines and other media, including Inc. Magazine because of her interviewing expertise. Janis is also Sr. Learning and Development Professional with over 25 years in the industry. Janis is certified in numerous nationally recognized Leadership Programs and has traveled across the country providing leadership training to corporations, including several Fortune 500 Companies. She earned her Master’s Degree in Human Performance. In 2017, Janis was honored to be a finalist in the San Diego Business Journal’s, “Military and Veteran Entrepreneur Awards”. She was also recognized by Senator Joel Anderson as a “California Hero”. Her husband is a retired Air Force Officer. Betsy Sheets is a Career Development Specialist. Her professional career spans over 20 years in managerial and supervisory roles in non-profit and for-profit sectors. The last 12 years have been in career development where she has developed curriculum, taught hundreds of classes and workshops on career transition topics, managed large-scale job fairs, and provided one-on- one coaching. A certified Federal Job Search Trainer and Federal Job Search Coach through the Federal Career Training Institute, Betsy has many years’ experience assisting veterans and college students with the federal job application and federal resumes, and has facilitated Department of Labor transition workshops on military installations in San Diego County. She maintains the level of Master Career Specialist through the National Career Development Association and Global Career Development Facilitator through the Center for Credentialing and Education. Betsy holds a Master’s degree from National University, a Bachelor of Science from Bridgewater College, a Bachelor of Arts from Wheeling Jesuit University. She is active as a volunteer in her community and has been serving as Corresponding Secretary for San Diego PFLAG since 2011. Betsy is the daughter of a WWII U.S. Army veteran and the spouse of a U.S. Marine Corps veteran. During his eight year US Army career, James served in Riyadh, Saudi Arabia; Suwon, Korea; Ft. Stewart, Ga.; and Ft. Bliss, Tx. 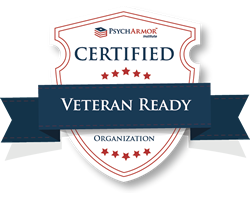 James went from leading soldiers as a non-commissioned officer to earn his M.A. in Education and supporting military- affiliated students in community college, non-profit, for-profit, and Research 1 institutions. Currently James serves as the Associated Director of Student Engagement with National University. Prior positions include, the inaugural Coordinator of the Student Veteran Resource Center at UC San Diego, the Lead Student Veteran Access Advisor at Ashford University, where he developed military and veteran programs and services, facilitated faculty and staff trainings, and chaired the Military and Veteran Student Task Force. James has also served with National University as the Retention/Transition Specialist in the Center of Excellence for Veteran Student Success, where he coordinated student veteran transition initiatives, established VA work study and peer mentor programs, and chaired the Veterans Success Team. Prior to his involvement in student veteran services, James worked for nine years as a Student Activities Advisor at Southwestern College. In the military community of San Diego, he served as a board member on both the San Diego Veterans Coalition and the Veterans Association of North County each for two years. A retired Marine and Iraqi veteran, Barbara retired in December of 2003. Prior to her retirement, she held a variety of positions in the Marine Corps including the Character Based Leadership Trainer to help improve leadership abilities. While in this position Barbara was able to positively impact over 8,000 Marines. After leaving the Marine Corps, she worked as a life and business coach helping her clients achieve personal, financial and business goals. Barbara is a Senior Consultant for Results Practice at Franklin Covey and has worked with a variety of military clients, the utility industry, and has extensive coaching experience with small business owners. Barbara earned her Bachelor of Science in Workforce Education and Development from Southern Illinois University, Carbondale. Barbara is also a graduate of CoachU Core Essentials Program and awaiting her International Coaching Federation certification. She is currently enrolled in the Advanced Coaching program at CoachU working toward the Master Coaching Certification. She is a Past President and active member of her Women Marines Chapter and a Trustee and past volunteer for the Veterans Association of North County. Susan Oleson is a hands-on Human Resources professional with a passion for organizational and professional development. Susan holds a Master of Science degree in HR Development from Villanova University, PHR certification, a Six Sigma Green Belt, OSHA 10 certification, and has over 18 years’ experience in the field of Human Resources, most recently as Senior HR Business Partner for CareFusion in San Diego. She thoroughly enjoys sharing her experience and expertise with transitioning military veterans and their spouses in the VetCTAP program. Mike has been with SAP Ariba for five years and is currently a Director working with existing customers to transition them to the cloud. SAP is the world’s fifth largest software company and primarily focuses on Enterprise Resource Planning (ERP). Prior to joining SAP, he spent two years working in Mongolia on several entrepreneurial projects. Mike has also owned his own company here in San Diego. He also spent five years with IBM as a consultant and assisted with interviewing undergraduate and graduate employment candidates. Mike spent four years on active duty with the Marine Corps and is active with other Veteran’s organizations including the Travis Manion Foundation, The Mission Continues, The Veterans Beer Club and the Semper Fi Injured Marine Fund. Mike has been with VetCTAP since 2016. Fred Rose has spent 40 years working in a variety of industries across the USA. These include automotive, power conversion, golf, and medical devices. His positions varied from Manufacturing, Human Resources, Recruiting, Training, and Logistics. He earned a BS degree from Indiana University in Production Management and an MBA from National University. Fred presents the Interview Skills Workshop in the VetCTAP workshop series and is a consultant in the job interviewing process. Mr. Rose is the managing partner of an LLC that manufactures and sells veterinary products. He also coaches a Special Olympics Golf Team, loves to travel, and enjoys an occasional round of golf. Dana Hofseth has worked with VetCTAP since 2012 and been in the Human Resources (HR) world for over 18 years. He understands the challenges of transitions as he has had a career change from pastoral ministry to the Human Resources field. Dana holds the HR industry’s highest certifications and leads the HR and Administration team for the National Association of Music Merchants, a local membership non-profit organization supporting the music industry. Dana deeply values the dedication and service of those who have served in our military and is grateful for the opportunity to assist with their transition to the civilian workforce. Mary Schwalen is a Training and Organization Development professional and certified Leadership and Life Coach. She has a Master’s Degree in Education from the University of Wisconsin at River Falls and is certified as an Integrative Coach by New Ventures West in San Francisco. Her career has involved building learning systems in industries including biotech, electronics, telecommunications, automotive and financial services. These systems have helped increase team and leadership effectiveness and build engaged company cultures to achieve business objectives. Mary is also a dedicated coach with a focus on leadership, career and life change. She seeks to help clients increase their self awareness, insight and confidence in order to move through transitions and reach personal goals. Mary has volunteered with VetCTAP for more than four years and enjoys working with transitioning military members and their spouses at an exciting transition point in their lives. She instructs the Face-to-Face Networking workshop and is a phone coach for VetCTAP graduates.